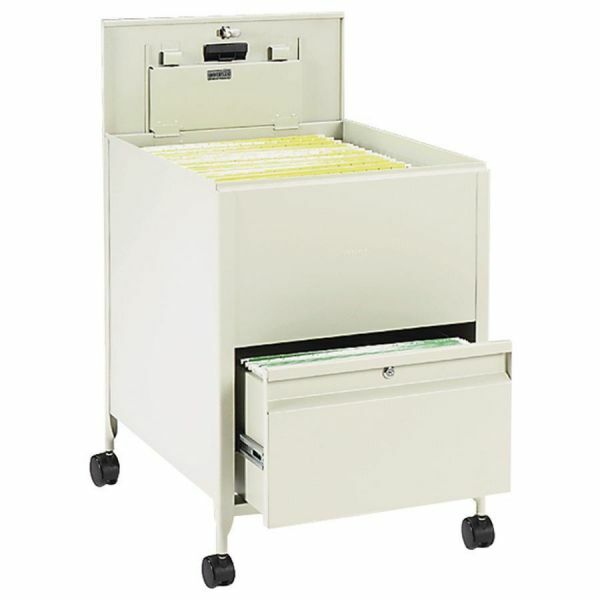 Safco Mayline Locking Mobile Tub File With Drawer, Legal Size, 20w x 25 1/2d x 27 3/4h, Putty - Convenient, rollaway tub file offers filing space for legal-size files on the top and full-suspension bottom file drawer to provide additional filing and storage capacity. Top viewing design allows easy filing and retrieval of stored documents. Both lid for top and file drawer lock (Four keyed alike keys included). Tub file holds legal-size, hanging file folders (sold separately) and is made of sturdy steel with a mar-resistant, powder-coat finish. 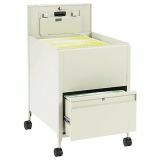 File rolls easily to point of use on four 2 swivel casters (two locking). Weight capacity is 300 lb."